We can still remember when Nissan wanted to be cool. Nissan like the Skyline GT-R, 240SX, and Fairlady Z. 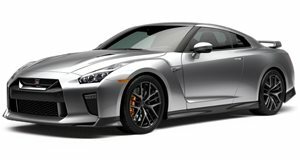 Now the , while sports cars like the 370Z and GT-R are each approaching a decade without complete redesigns. It seems Nissan has partly given up on being an enthusiast brand, but you can still buy used models from the company's recent history that still offer solid levels of enjoyment. Here are eight used cars that are now very affordable and will remind you that Nissan used to be cool. The Nissan Juke will still be sold in Europe, but . Many people mocked the Juke for its controversial looks, but we appreciated it for at least attempting to stand out in a segment where everything generally looks the same. Nissan took some risks with the Juke, like offering a 215 horsepower Nismo RS version with Recaro racing seats and an optional manual transmission. Say what you want about the Juke's looks, but it is a A used Juke Nismo can be found starting at around $10,000. Nissan currently builds a sporty version of the Sentra called the Nismo, but for almost $26,000, we'd opt for the superior Honda Civic Si. The previous hot Sentra was known as the SE-R and came powered by a 2.5-liter four-cylinder producing 175 hp. The Spec V version bumped power up to 200 hp mated to a six-speed manual and a limited-slip differential. The Sentra SE-R makes a great cheap first car, as used prices now start at around $5,000. If the Sentra SE-R is a bit obscure, the Altima SE-R is downright forgotten. Nissan only built the Altima SE-R for two models years in 2005 and 2006. It was based on the third generation Altima and was powered by a 3.5-liter V6 producing 260 hp. The car was also given bigger brakes, 18-inch wheels, stiffer suspension, and an optional six-speed manual transmission. Few people remember the Altima SE-R, so used examples can now be found for under $7,000. 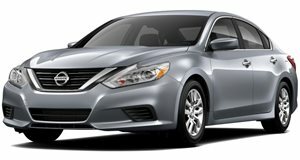 Nissan always marketed the Maxima as a "four-door sports car," but this claim has been difficult to take seriously in recent years. The new current eighth-generation Maxima may produce 300 hp, but it sends that power to the front wheels exclusively through a fun-killing continuously variable transmission. The sixth generation Maxima was the last to be offered with a six-speed manual, up until 2006. We also love the fifth generation car, which came with a limited-slip differential. Expect to pay less than $5,000 for a Maxima with a stick shift. The 350Z was Nissan's continuation of the longstanding Fairlady Z nameplate and was built from 2003 to 2009. 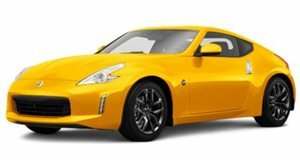 The current 370Z is a superior car, but used 350Z examples are now incredibly cheap on the used market. The 350Z was always powered by a 3.5-liter version of Nissan's VQ series of V6 engines, ranging from 287 to 306 hp. Excellent condition examples can still be found for less than $15,000. Before there was the 350Z, Nissan sold the 300ZX from 1983 to 2000. The second generation car (known as the Z32) is now becoming a collectible, as '90s nostalgia has reached an all-time high. The most coveted 300ZX is the turbo, powered by a 3.0-liter twin-turbo V6 producing 300 hp. Prices are starting to rise, but you can still get a 300ZX turbo with a manual for less than $20,000. The original Pathfinder was a body-on-frame SUV that could actually be used to "find paths." The current car is simply a three-row crossover, which is a bit sad considering how cool the old ones used to be. We particularly like the boxy third generation R51 series, which was replaced by the soft-looking crossover in 2013. This Pathfinder was powered by a 4.0-liter V6 producing 266 hp, though the third generation was also the only Pathfinder model to be offered with a 310 hp 5.6-liter V8 from the Titan full-size pickup truck. V8 Pathfinder models are rare but can be found between $5,000 to $15,000, depending on mileage and condition. Nissan has moved on from rugged SUVs like the Pathfinder and Xterra in order to focus on more popular crossovers. The Xterra was Nissan's most rugged SUV, built with off-roading in mind. It was killed off in 2015, leaving the Toyota 4Runner as the last (somewhat) affordable off-road SUV, aside from the Jeep Wrangler. The Xterra may make a comeback, but for now, a used one is the only way to go. Both generation models can be picked up for less than $2,000, but we'd pay a bit more to find one with a six-speed manual transmission.